Former Barcelona midfielder Xavi Hernandez has tried to put an end to the debate surrounding the best player between Lionel Messi and Cristiano Ronaldo by claiming that Messi is far superior than any other player. He has even claimed that ‘those who know their stuff’ will always back his claim. Ronaldo is the overwhelming favourite to win the FIFA Ballon d’Or award in the next few months. This would take his tally to four – one behind leader Messi. Ronaldo has managed to win the Champions League with Real Madrid, but the crowning achievement came a few weeks later as he lifted the European Championship with Portugal. Messi, in contrast, has ended up unsuccessful on almost all fronts in the summer. The biggest disappointment would be losing the Copa America final yet again to Chile. Following this disappointment, the Barcelona superstar announced his retirement from international football. Xavi, though, says that Messi is far superior than anybody who has played the game or continues to play. The record is achieved by Messi speaks for itself, according to the midfielder who now plays for Al-Sadd in the Middle East. In his stellar career, the little Argentine superstar has managed to win four Champions League titles, eight La Liga trophies, and three Club World Cup medals apart from several others. After having spent his entire career with Barcelona, Xavi Hernandez has finally ended his relationship with the Spanish club as he joined the Qatari side Al Sadd which will be his new club for the next 2 years. 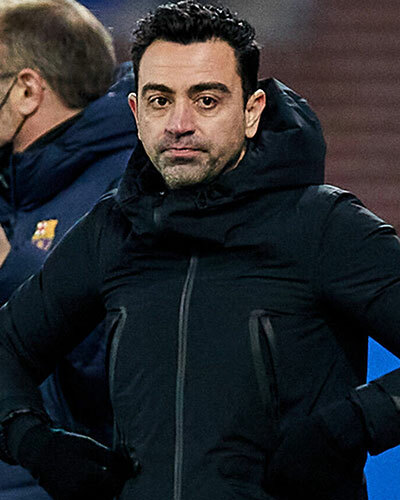 Making a switch from Barcelona to Al Sadd is a huge move but at the age of 35, Xavi Hernandez had to be offloaded in order to give some of the younger players a chance to step up and get into the main team. Even though Al Sadd does not have the same world class player or pieces of silverware that Barcelona has collected, Xavi Hernandez revealed his joy and said just how honored he is in joining the Qatari club.